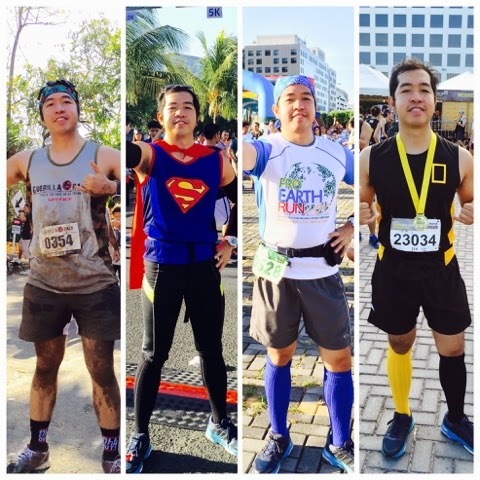 Yours truly Runner Rocky ran for the mother earth on the month of April 2015. Yes, I have conquered four different major runs of four different themes for one goal - to save the mother earth! Since April was a month where we celebrate the Earth Day, I can say that this month, I ran for the mother earth! And I transformed into four different characters - as a guerilla, as superman, as an environmentalist, and as a geographer!